What is Virtual SIM Roaming I hear you ask! There are many terms in the telecommunication industry that often get incorrectly used or pinned to services they arn’t really related to. One of those terms is Virtual SIM / Virtual SIM Hosting / Virtual SIM Roaming – so I thought I would try and clarify exactly what these services are and how World Text is the leading platform to ‘virtualise‘ your SIM. All the services are in essence the same thing, just slightly different terminology used to describe the same process. There are infact different uses that this can be put to, but fundimentally the whole reason to ‘virtualise‘ a SIM is to enable the receipt of inbound SMS virtually i.e. without the need to use a mobile handset or GSM modem. Why would you want a Virtual SIM? Throughput speed of up to 50 SMS/second (avergae GSM modem no more than 1 SMS/second). No reliance on local GSM tower, computer or power supply. Local number for countries where SMS virtual numbers are not available or suitable. The Virtual SIM is ‘roamed’ on to our partners mobile networks over the World Text SS7 direct connections, there is no greater reliability, redundancey or speed available in the telecommunications industry than this method. Many users use the World Text Virtual SIM Hotsing solution for receiving inbound messages as part of their two-way text message conversations and inbound SMS from customers, staff, pupils or even M2M text messages. We also offer telecom operator testing solutions which utilises the same technology, often enabling far cheaper and reliable end to end SMS delivery testing for their subscribers while roaming abroad or even on their home network. Via SS7 connections with the mobile roaming partner and SIMs provided by the home network carrier, MO/MT SMS can be end to end tested to ensure that the subscribers continue to receive the level of service expected while roaming. 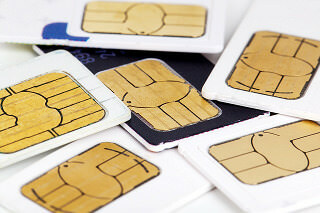 For further information regarding the World Text Virtual SIM Roaming service please contact us.